With so many options, how will you know what will work best for your business? It can get pretty overwhelming. To save your time and effort, we regularly review and compare top website builders, exploring the range of the available features. Two of the most popular DIY website builders available are Wix and Jimdo. How did they become so popular? Well, beyond doing a whole lot of advertising, they also provide a super user-friendly product. Jimdo. Jimdo certainly impresses with its visual editor that supports in-line editing. The builder provides a total What-You-See-Is-What editing experience. Recently, they’ve added a new Adobe Creative SDK image editor allowing users to edit and customize website images, making it faster to feature your site. The latest version of Jimdo control panel has a collapsible menu (it has moved from the right to the left side) that lets you preview your site without leaving the control panel. The new Jimdo interface is attractive and has a modern look and feel, but it’s somewhat less straightforward than some of the competitions’. Jimdo Dolphin: if you currently face the need to construct a quality and professionally-looking website, then Jimdo has definitely something to offer you. Recently, the system has introduced an advanced functional tool – Dolphin – which allows everyone to build simple yet effective websites in the intuitive, convenient and hassle-free way. By using the system, you get a chance to create a niche-specific website by answering a series of simple questions regarding your website topic, target audience, business details, industry and what not. Having done that, the system automatically generates a website filled with ready-made content (photos, texts, headlines etc.) you can further customize with regard to your business needs. The very process is very fast and simple and it doesn’t take longer than half an hour. Just know your business needs in advance to avail decent result with Dolphin! Wix. What’s really great about Wix is the well-thought-out structure of the builder. You’ll certainly enjoy both the handy dashboard and the builder itself. Wix supports drag-and-drop editing at its finest. Jimdo vs Wix. Based on our experience, Wix provides a richer user experience. First, it’s divided into two areas: management and design (while Jimdo is not). Second, its structure is more logical. Third, Wix gives more freedom: while in Jimdo you can move draggable elements only using the Up/Down buttons and alignment options, in Wix’s editor you can position any element, be it a button, an image or a widget literally anywhere on the page. On one hand, Wix’s freedom of customization is very enticing, but on the other, it can lead to many frustrating scenarios. Jimdo’s editor automatically aligns all the site elements, making it impossible to ‘break’ the layout, and Wix’s editor allows you to easily mess up your template. Jimdo. Jimdo is advertised as a versatile site builder with a focus on eCommerce. Indeed, it offers a decent eCommerce system. Commerce: inventory management, multiple payment options, the ability to generate discount codes, tax control (you can also choose to display a footnote regarding tax for all products), item availability (available, sold out, limited availability etc. ), customizable checkout form and confirmation emails, among other features. Blogging: the ability to draft posts, date and time, tags, the ability to add various media to individual posts: images, forms, videos, store items and more, comments management. Jimdo’s free iOS and Android applications let users update existing sites and even create new ones on the go. Tech-savvy users will certainly love the possibility to make changes to the site’s code directly. Wix. 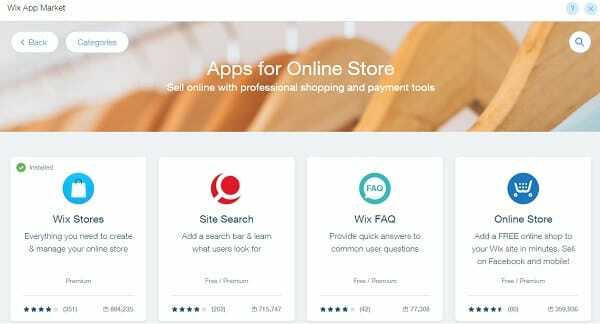 Similar to Jimdo, Wix has a native eCommerce platform and blogging engine. If you’re looking to extend your website further with things like membership pages, forums or online booking, it’s all possible with Wix, thanks to the built-in App Market. The Market includes both free and paid apps, some developed by third-party providers. Wix vs Jimdo. Wix is the winner here. While Jimdo is flexible enough, as it allows users to tweak the site’s source code, Wix has much more variants to customize and feature your website with useful Apps. Jimdo. Jimdo users can choose a ready template or create their own, custom theme from scratch, using the Custom Template feature (web development skills required). Each Jimdo theme is optimized for mobile viewing. As an alternative to the optimized view, you can set up a landing page called Mobile Express Page that will show the most important info about your company. Wix. Wix offers hundreds of templates in over 70 industry categories, including one-page templates. Wix users can change the mobile view of their site without changing the appearance of the desktop version. Jimdo vs Wix. Wix site builder provide much more topic-related templates than Jimdo. With that, Jimdo lets you upload a custom theme and what’s more important – it allows you to switch templates. But it’s a dubious option – you cannot customize Jimdo website as you want. With Wix you can make it easily. Jimdo. FAQs, video walkthroughs and email support are available to users. It’s nice to know that there’s also free live chat support and support via Twitter. Wix. The official Wix forum has over 260,000 topics covered and it’s really easy-to-navigate, just like their control panel. There’s also massive knowledge base comprised of video tutorials and how-to articles. Premium users have the possibility to schedule a call. Wix vs Jimdo. In our opinion, both website builders offer enough support resources. Jimdo. Jimdo is a freemium site builder which means you can use its free version as long as you need. For additional customization there are two paid plans: $7.5 and $20 month to month what makes $90 and $240/year, respectively. Wix. Wix also has a free version that never expires and paid subscriptions that can go up to $24.50/month. Please note that their cheapest paid version doesn’t remove Wix advert from your site. Jimdo vs Wix. Wix’s pricing is much flexible, as there are 5 premium plans, billed either monthly or annually. Jimdo keeps things simpler, but using its is moreexpensive. Cost considerations certainly play a part in choosing a software, but with such low and close rates these costs hardly come into the reckoning. So which one is better: Jimdo or Wix? Both Wix and Jimdo offer all-inclusive packages for getting your site up and running. 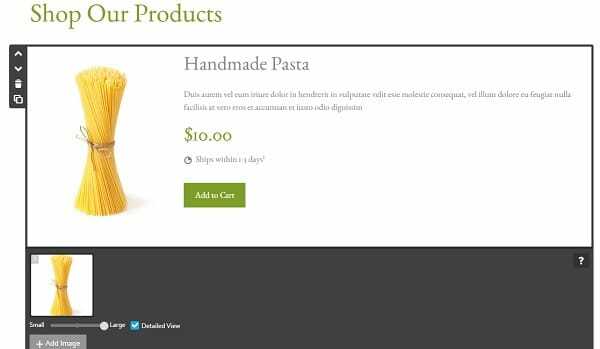 Wix is easier to use, while Jimdo leaves more room for customization, thanks to its advanced HTML/CSS editor. But all in all, Wix is more flexible if you know exactly what website you want to create. So, before you start building a website using one of these site builders, ask yourself what features you expect to get and what can be sacrificed.